Dr. Restrepo-Guzman is a psychiatrist interested in the field of cultural psychiatry and human rights, and currently manages a substance abuse and mental health program that he developed at the Long Beach VA Hospital, which is affiliated wtih the University of California, Irvine. He has conducted medical evaluations and clinical treatment of people who have survived torture and other forms of abuse and has been a PHR volunteer since 1998. He has worked with immigrant populations in the United States for over 15 years. He has been a United Nations Consultant since 2005 and has participated actively in the implementation in Mexico and in Colombia of the Manual on Effective Investigation and Documentation of Torture and Other Cruel, Inhuman, or Degrading Treatment or Punishment, also known as the Istanbul Protocol. He writes monthly for the Colombian healthcare newspaper “El Pulso”, among other publications in the medical field. Dr. Restrepo completed medical school at the Instituto de Ciencias de la Salud in Medellín, Colombia. In 2003, he completed his residency training in Psychiatry at Boston University Medical Center, and then obtained a fellowship in Addiction Psychiatry from the same institution. In 2008, he received a Master’s degree in Global Public Health from New York University. 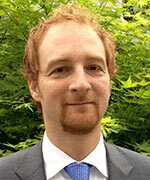 He is board certified in Psychiatry and Addiction Psychiatry. Before moving to the Long Beach facility, he worked at St Luke’s Roosevelt Hospital Center, an academic institution affiliated with Columbia University, where he was the Director of the Addiction Psychopharmacology Clinic at the Addiction Institute of New York, as well as Attending Psychiatrist at the Adult Outpatient Clinic.